Scott Kowalski " After 4 years, my family now asks - can we grow one too? My answer - You wish. " It is that time of year again, when my family offers me $ not to grow this thing. 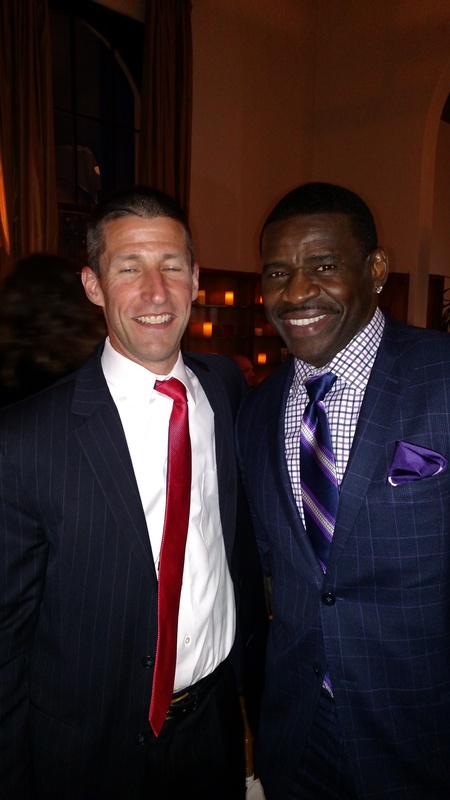 I tell them one day my 'stache will look as good as the one Michael Irvin is sporting. They said it will never happen. Five Days in and already looking ugly. Please counter the ugliness by donating to a worthy cause. One week in, and the general public is already suspicious. We are into another week. Due to an unfortunage shaving incident, I now have points on the 'stache ends and have lost my battle to be Sam Elliott. As my family made clear over Thanksgiving, that battle was lost before ths first shot was fired. In the final week and my family and colleagues are excited not to have to look at this much longer. I was at my son's LEGO Robot League tournament this weekend and most folks gave me a wide berth. Please donate any amount you are comfortable giving. 100% of your donation goes straight to the charities. I have been told that Paul Sr. from Orange County Choppers is the best I can do - Sam Elliott is out of reach. Hurling Day is almost here, folks. A collective sigh of relief as this rodent-like growth comes off. Thank you to all who supported the effort this year. Rest well and be ready for next year. "The Stache has gone to rest until next year." "You ought to keep that thing above your lip!" "Anything to stop this madness..."
"Thank you to all this year's donors." "Unkempt for a great cause!" "Sam Elliot has nothing on you!"